Jamaica Wedding Photographers – Frank Panaro Photography-Wedding Photographers for Jamaica. Destination Wedding Photographers for Jamaica. Welcome to Jamaica Wedding Photographers and Frank Panaro Photography, where I am a destination wedding photographer based out of Cape Coral, Florida. Having photographed over 40 weddings in Jamaica, I do know this Island quite well. Shooting mainly in Montego Bay, Negril and Ocho Rios is where I will always end up. I am dependable, reliable, best customer service available and you get all your photographs, fully professionally editted at full high resolution delivered right to your e-mail in a timely manner always. I put big smiles on my clients faces with my quality work. I have one price which is inclusive of my travel fee from Miami and no other fees at all. $2000-$3500.00 are my prices for Jamaica on most weddings. Call me for more information. My style of photography is a unique mix of photojournalism, fine art, fashion, lifestyle, and a very natural and candid style in general. So if you are looking for superb hard working Jamaica Wedding Photographer, you have found one of the best photographers to meet you in Jamaica from Miami. A quick 90 minute flight, and I am in Montego Bay, Jamaica. I offer the fairest prices for Jamaica from Miami. 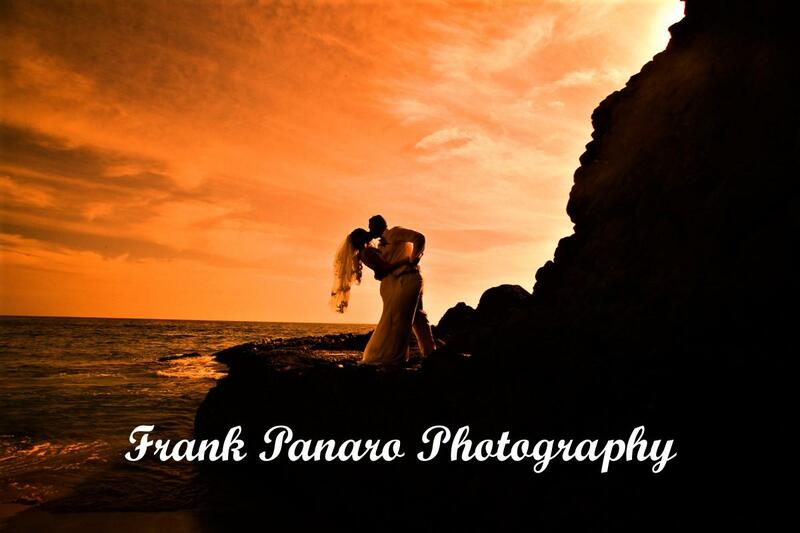 Frank Panaro is a destination wedding photographer shooting weddings in all of The Caribbean. You may learn more about Frank by visiting his Biography Page. He also knows of all the best photographic locations on the Island, and has photographed weddings at the majority of resorts. Jamaica wedding photography at its finest is what we are all about, and what we deliver to all our clients getting married in Jamaica. Please take a moment to view his website, by either clicking on the picture above, or clicking on this link: www.frankpanarophotography.com Here you will find hundreds of beautiful photographs and be able to get in touch with Frank. If you really want beautiful photojournalistic, fine art and natural and candid wedding photography in Jamaica, then give Frank a call to discuss your wedding further at 760-289-0997. Thank you for your interest in our photographic services and we look forward to speaking with you in regard to your destination wedding photography in Jamaica. The Best Jamaica Wedding Photographers available to capture the moments of the day in style.